A collection of short stories from the New York Times bestselling author of the Man Booker-shortlisted, PEN/Faulkner Award-winning novel We Are All Completely Beside Ourselves. In 1999 Karen Joy Fowler won the World Fantasy Award for Black Glass, a collection of thirteen stories in which she " Managed] to re-create both life's extraordinary and its ordinary magic" (New York Times Book Review). Now, this previously rare, out-of-print collection is being republished with a fresh package and a new prefatory meditation by the author. 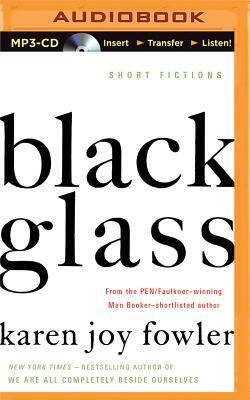 Featuring Fowler's characteristic imagination, sly wit, and penetrating insight, Black Glass will be a welcome treat for fans new and old.